Bringing the drama! 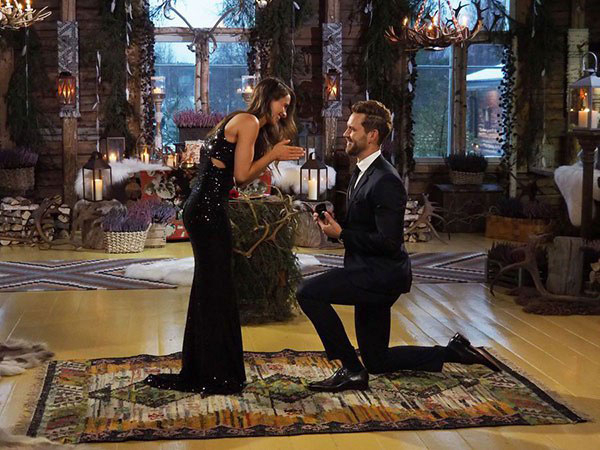 On the Monday, March 13, season 21 finale of ABC’s The Bachelor, both finalists — winner Vanessa Grimaldi and runner-up Raven Gates — wore stunning, dramatic gowns in hopes of receiving a proposal from the leading man, Nick Viall. Check out what happened in the video above, and get all the details on their dresses below. Hoxie, Arkansas, native Gates was the first to meet Viall, 36, at the Finland cottage where he was waiting with a ring. Sadly, that sparkler wasn’t for Raven — but the good news is she looked gorgeous while being rejected on national television. 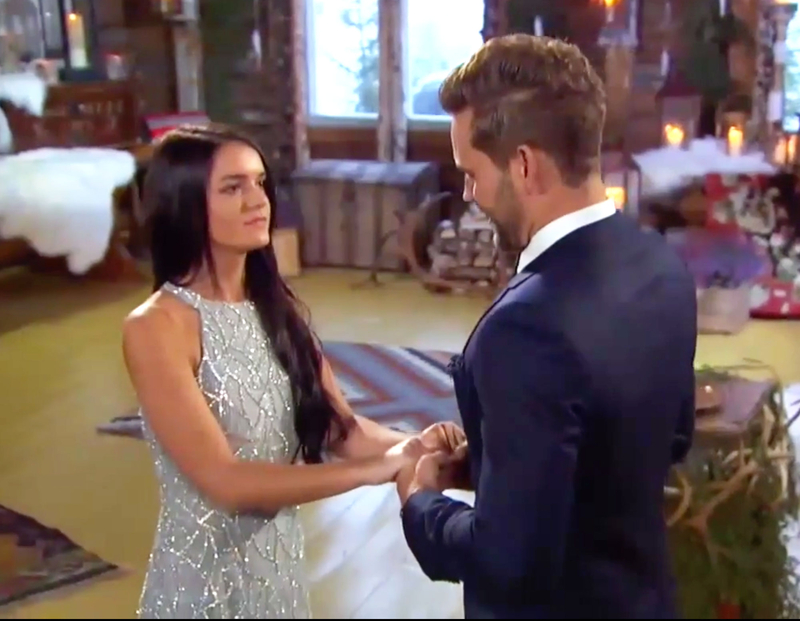 To profess her love to Viall one last time, the 25-year-old boutique owner slipped into a Randi Rahm ice-blue sequin maxi with a straight silhouette from the Spring/Summer 2017 collection. She wore her long, jet-black hair down in a natural wavy style. To brave the cold on the way to the cottage, the runner-up topped her look with a floor-length fur coat. Grimaldi’s day had a happier ending, and she looked equally stunning as she waited to hear Viall’s decision. For her big moment, the special-needs teacher from Montreal chose a glittering black Badgley Mischka maxi gown. The thin-strapped dress, which retails for $595, can also be borrowed for only $90 through Rent the Runway. Grimaldi, 29, wore her chestnut hair down and parted to one side in a curly style. For the trip to the proposal site, she topped her dress with a cropped fur coat. But her best accessory came later, when Milwaukee native Viall got down on one knee and offered her a 3.75-carat Neil Lane stunner. The ring featured a brilliant-cut, round-shaped center stone set in a platinum band accented with diamond baguettes and 164 smaller diamonds. It’s reportedly worth $100,000 — and a lifetime of love of course!